We offer Honey Chilli Almond. 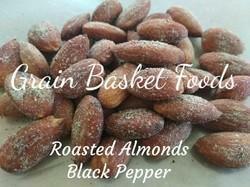 Dry roasted almonds flavoured oil free with Smoked BBQ flavour to perfection. Healthy snacking Any time Any where!! A full healthy diet which gives you all nutritious substances which require for body development. - No Sugar is added to this product. - hence it is , at its Natural best. We are remarkable enterprise, instrument in offering superior quality Roasted Almonds. A popular source of iron and calcium. Roasted and salted Almonds packed in air tight container keeps it fresh and crisp for a long time. Plastic tin keeps it fresh and crisp even after the tin is opened. Our clients can avail from us Roasted Almonds, for which, we are well-known supplier, exporter, importer and trader. Healthy for human body, our offered almonds are processed keeping in mind the guidelines laid in food industry. 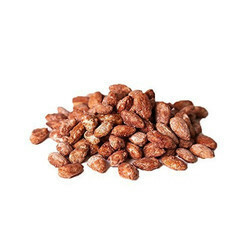 Additionally, enriched with proteins, our offered almonds are widely demanded by customers. PROCESSING: This product is derived from pasteurized almonds. Avail from us a wide range of Spicey Almonds, as we are engaged in supplying and trading a wide variety of these products in bulk as per the needs of our clients. These products are rich in taste and are free from cholesterol. Our products are hygienically packed in vacuum free containers. All these products are extremely healthy to eat and have high nutritive value.